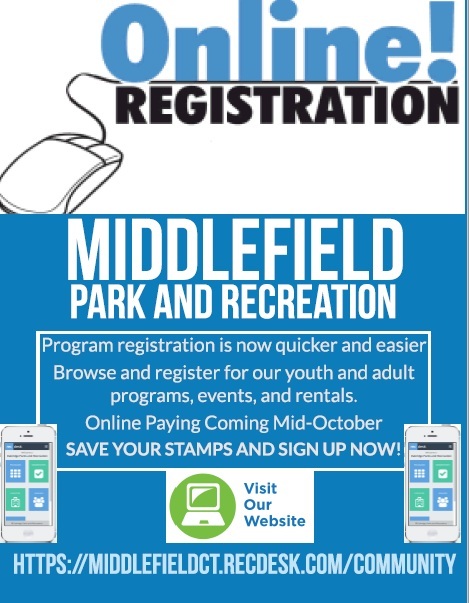 Parks & Recreation – Town of Middlefield, Connecticut – The official website of the Town of Middlefield and Rockfall, Conn.
With this site, you will be able to search and register for programs, reserve facilities, and pay online! We will slowly phasing out the paper registration/reservation process. We will still accept registrations through mail and drop off. 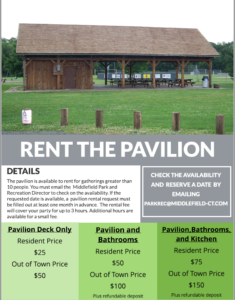 Become a fan of Middlefield Park and Recreation on Facebook! Get the latest info and see pictures of the programs and events. 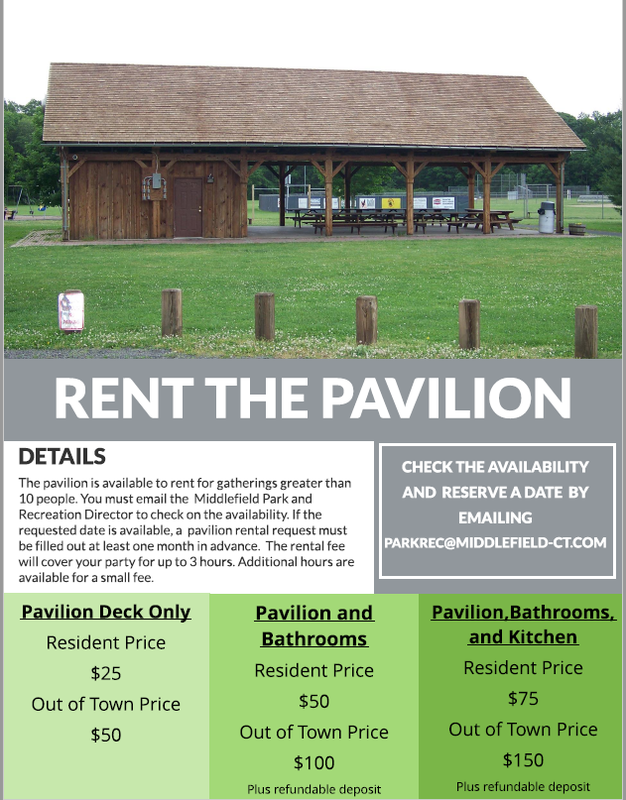 Middlefield/Rockfall residents may purchase beach passes at the Town Clerk’s Office at the Town Hall, or at the Snack Shack at the beach. Passes are $25 for a single person/family pass; FREE for seniors, 62+ . The passes are valid from January 1st through December 31st. The Park and Recreation Commission is made up of a panel of 5 volunteers. The Commission meets at the Middlefield Community Center on the first Thursday of the month at 7:00 PM, with the exception of December. The public is welcome to attend any meeting and comment on any topic. Agendas are posted (by 5 p.m. the previous business day) and may be viewed by clicking on the meeting in the calendar section.